So, my obsession with zucchini continues. I have been experimenting with the different possibilities of using this pretty green summer squash. And the possibilities are endless. I have never tried making brownies with zucchinis in it before and I have been toying with this idea for a while now. This is a great way for you to use up your left over zucchini and it is also a good way to sneak in zucchinis to feed those picky eaters. Let me just say that when making these; don’t be alarm if you find that the batter starts out dry. Just relax and add in the grated zucchini which would then, magically releases its liquid to moisten the batter right away. This brownie may not be chewy in texture but instead, it’s very light and moist. It’s so good and somewhat healthy you won’t even miss the frosting. Preheat oven to 350 degrees F. Grease and flour an 8×8 inch baking pan. In a large bowl, mix together the melted butter, sour cream, sugars and vanilla until well blended. Combine the flour, cocoa powder, baking soda and salt; stir into the sugar mixture. The mixture will appear slightly dry or stiff but don’t worry just fold in the grated zucchini. This would then release its moisture to the batter. Spread evenly into the prepared pan. Bake for 15 to 20 minutes in the preheated oven, until brownies spring back when gently touched. Allow to cool and then cut into squares. I’m obsessed with adding chocolate to my zucchini. I mean, zucchini to chocolate. ha! Seriously, I need to try these. I have a chocolate zucchini bundt on my blog that is terribly delicious and addicting- you might like it! Yep, I’m making these ASAP! 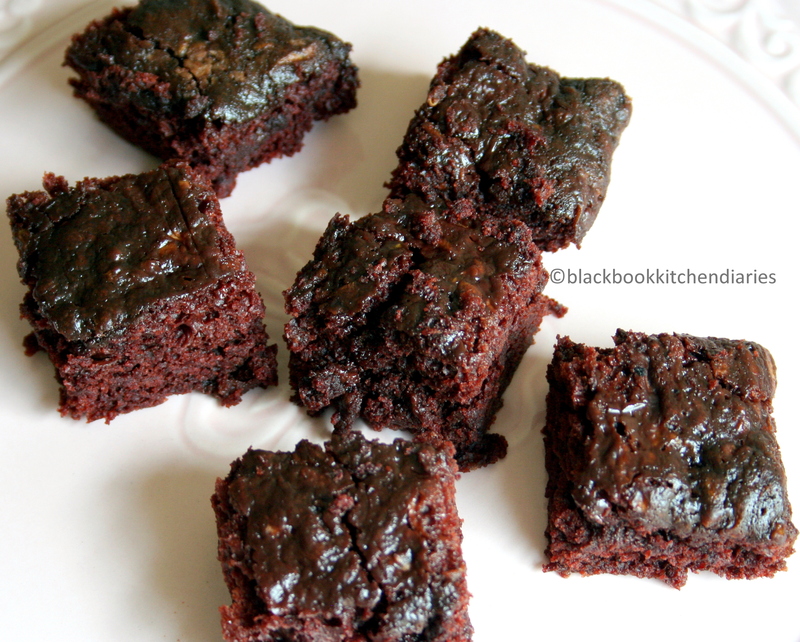 They look sooo good, I have ventured into the black bean brownie arena but not into chocolate and zucchini brownies yet. This will be remedied soon!